This eye-catching necklace features a stainless steel detailed 3-dimensional Dragon Head Tusk pendant in antiqued finish. 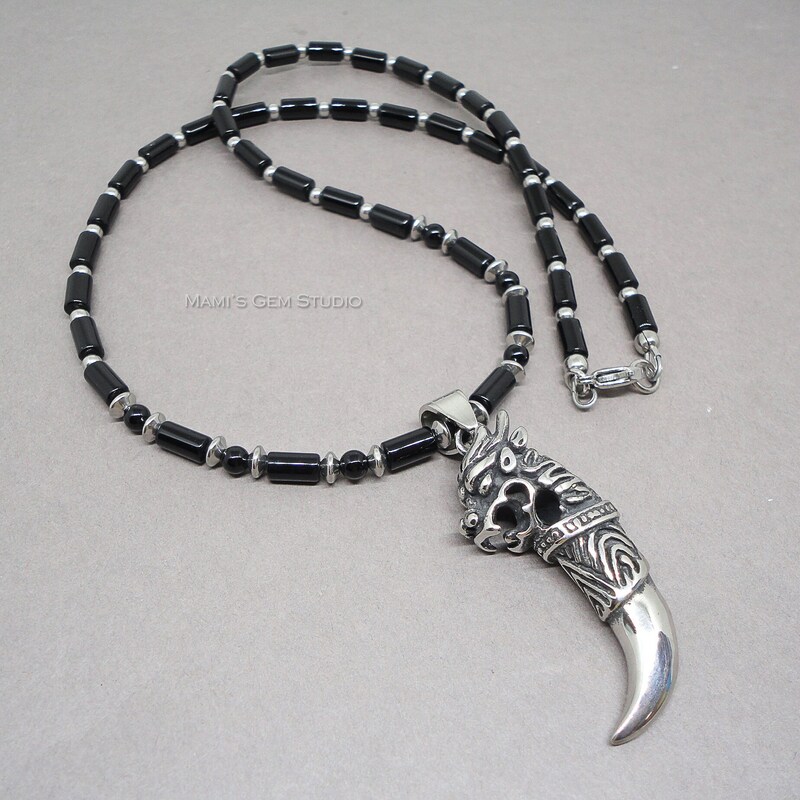 It hangs from a 22 inch beaded necklace, which I made with Black Onyx gemstone well-polished high quality beads and simple stainless steel spacers. It closes with a stainless steel lobster clasp. All metal materials are stainless steel. ❥ With a "Hand Made in USA" label attached to each piece of jewelry, your order will arrive in a gift box, ready for gift giving. Again, beautifully made earrings, stones slightly smaller than the blue lace agate earrings, but beautiful faceting here. In this pic the purple looks really dark, but’s it’s really a pretty medium color. difficult to put on without the beads potentially falling off. However, the seller was very gracious and replaced the earrings for me. Great customer service and beautiful craftsmanship.